is a rapidly expanding, diversified company that is recognized in the San Joaquin Valley as a leader in the landscape industry. 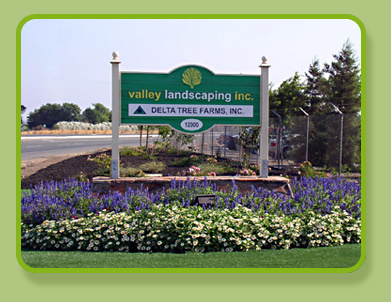 Established in 1975, Valley Landscaping employs more than 150 employees and is headquartered in Lodi, California. One of the best known landscaping companies in central California, Valley Landscaping and it's affiliates are actively engaged in five areas of the landscaping industry: Landscape design, landscape construction, landscape maintenance, green waste recycling and wholesale nursery operations. Website Designed by Plus IT, Inc.